One must listen to be a Dehonian | Walk with us! We continue preparing ourselves during this season of Lent to live the pascal mystery of the life, Passion, death, and resurrection of Christ. 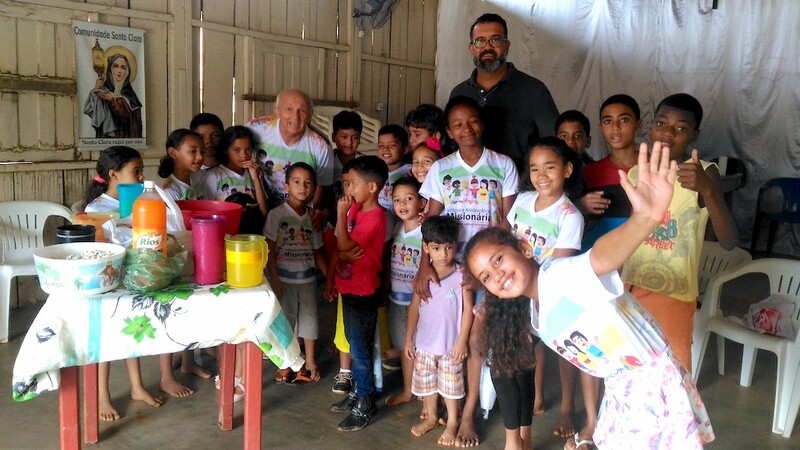 And I am also continuing with my pastoral experience in Brazil where I have the opportunity to really understand the meaning of going out of the sacristy and being among those who are in need and more vulnerable than most people. 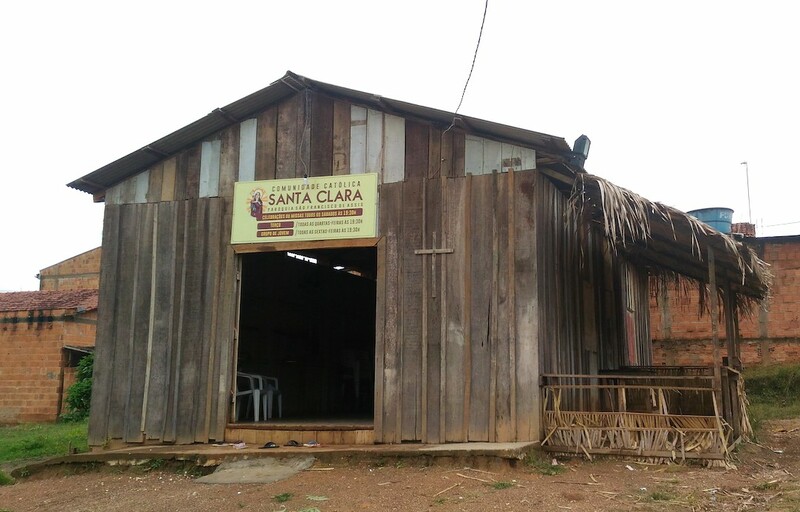 My getting to know more about the different ministries and the impact the Priests of the Sacred Heart have in the various regions of Brazil has been a meaningful growing experience for me as a Dehonian. And it has made me able to understand the needs of others and to be present to help them. There is no more perfect time than this season of Lent for me to reflect on my vocation and my response to God’s call to strengthen my relationship with other people. And the Second Sunday of Lent in which we celebrated the transfiguration of the Lord provides suitable readings to reflect on what I am thinking about. One beautiful message for reflection comes from the reading of the Book of Genesis (12: 1-4a) the calling of Abraham and the promises of God’s blessings. I reflect on my own vocation and of hearing God’s call, which took me to a foreign land: the United States where I have been blessed by many experiences and all the amazing people I have met during my time in formation there. And today after following my heart and missionary call, I am again in another new land –– Brazil –– and I am experiencing more amazing experiences and countless blessings during my pastoral year here. As we read of the transfiguration of the Lord in the Gospel according to Matthew (17:1-9), where the Divinity of the Lord is revealed to some of His disciples, an important message made its way into my heart. “This is my beloved Son, with whom I am well pleased; listen to him.” “listen to him…” in moments of sadness and sorrow, “listen to him…” in times of joy and happiness, “listen to him…” in moments when we do not know which way or path in our lives we should follow, “listen to him…” when the political situation affects everyone specially the poor and marginalized, “listen to him…” “listen to him…” And so I must remember, always, to “listen to him” myself. When I was looking for a spiritual reading to enrich my personal prayer during this season of Lent, I found the perfect book in the library of the community house in the city of Parauapebas State of Para where I spent two weeks. John Leo Dehon, a Prophet of the Verb Go, is a book written by Fr. Jose Fernades de Oliveria, an SCJ well known not just in Brazil but in many countries as Fr. Zezinho, SCJ, famous because of his singing career. As I was taking a look at this book, I was struck by the description of it by Fr. João Carlos Almeida, SCJ, who said this book is more than a biography because it captures the soul of the life, work, mission, and spirituality of Fr. Dehon. In his description, Fr. João Carlos says that after you start reading this book you will not be able to stop … And that after finishing reading it your life will be “Dehonizada.” What a beautiful way to describe that feeling, that your life will be, allow me please to do interpret it by using the word “Dehonitation.” Is that a real term? I am not really sure, I just know that I am learning the meaning of that term. This Dehonitation is something that even if someone tells you what it is about, the best way to understand it is by living it through the experience of your life. I have come to understand that Dehonitation can be understood by taking the message of the Gospel “listen to him.” Fr. Dehon listened to the cry of the poor and the needs of those in his time who were in need and whose lives were marginalized. Fr. Dehon listened to God’s call and as result, the Congregation of the Priests of the Sacred Heart was born. Today we are called “Dehonians,” but we are not only religious men who listened God’s call because in our response we chose to live the charism and teachings of Fr. Dehon. Today the Dehonian family is integrated by the work and love of both religious and lay Dehonians, who walk hand in hand with us in our mission and ministry. Lay Dehonians have also experienced Dehonitation and live our charism in helping us reach out to and serve those who need us the most. This past March 14, we celebrated the birthday of Fr. Dehon. We also celebrated our vocation as Dehonians, we celebrated our mission and ministry among the poor and marginalized, we celebrated our response to God’s call to the Congregation of the Priests of the Sacred Heart, and we celebrated the experience of Dehonitation in our lives. Father Dehon listened to the cries and needs of the people in his time and gave us a legacy that we keep alive today. This legacy gives a deep meaning to the verb “go” because “to go” is an important part of our charism. It means going out of the sacristy and being among those who are marginalized or poor. As Fr. Zezinho mentioned in his book, Fr. Dehon was a real prophet of the verb go. As my pastoral year continues and I experience this Dehonitation, my spirituality and missionary vocation grows stronger and also grows is my firm desire to give my life to this Congregation and the service of those who need us the most. Of course, an essential pillar of our charism is our perpetual adoration and our intimate relationship with God, but my experience visiting rural communities has taught me that this Dehonitation occurs out of the sacristy among these people because it is in them that I can see the face of God. During this season of Lent we are called to deepen our prayer life, to reflect, and to fast. It usually implies giving up something we are used to having and that will deprive us of a particular pleasure. Some people will give up soda, chocolates, TV shows, Facebook, or many other things. All of those things are good. But today as I experience Dehonitation in my life, I am not sure about what I should give up during this season. Instead, I am thinking about what I can give the most, how can I be present for others, and how I can bring the presence of God and comfort to those who are in need. During this season of Lent I want to continue this process of Dehonitation and listen to the will of God in my life. Many times, I have said to people here in Brazil when I introduce myself that I decided to come to Brazil to do my pastoral year. I am proud to say that it was my decision, that I chose to come to Brazil and that all the amazing experiences that I am having are the result of my own decision. But during Lent I have come to understand that it was not me who made the decision to come to Brazil, it was not my decision to go to the United States. Instead I realize that I was listening to God’s voice in my heart. Today I say that I am in Brazil because it was the will of God. Today I say that I am just listening to God and His will for me. Today my invitation during this season of Lent is not of giving up something. instead, I invite you to think about what you can give, how you can give more of yourself. My invitation then is to open your heart and to listen to the voice of God and to experience Dehonitation in your life and become a prophet of the verb Go. This is a beautiful Lenten reflection. When I read Pilgrimage (My Search for the Real Pope Francis) by Mark K. Shriver I felt I found the key to Pope Francis. It happened in his Novitiate and here is how it is described: “We got the sense that Zaragozi (novice master) awoke in Bergoglio not just the habit but the rage for prayer that he has to this day.” p64 It would appear to me that something of the same experience happened to Frater Juan Carlos either in the novitiate or some where else along his formation. God continue to Inspirit you!! !